LOCATION: This home is located in Watercolor's desirable Camp District and is a short bike ride from the beach. DETAILS: 328 Red Cedar is a fabulous 4 bedroom/ 4.5 bathroom home situated on the corner of Western Lake and Red Cedar in WaterColor's Camp District. This newly painted charming home boasts unique upscale furnishings, a gourmet kitchen, and plenty of porch space for many relaxing evenings. The first floor is comprised of the gourmet kitchen and living room complete with a Wolf gas range and granite counter tops. There is also two bedrooms with private full bathrooms on the first floor. Upstairs on the second floor, guests will find the Master Suite complete with a king bed and a large master bathroom as well as a fourth bedroom. There is also a bonus bunk room found on the second floor, perfect for young kids! Also another upstairs porch with two swings! When guests are ready to explore WaterColor and its neighboring community Seaside, hop onto one of the 4 bikes provided for a great ride! Seaside is only a 7-minute walk from this house. Check Availability and Book Today! Another wonderful visit!! Beautiful and comfortable home with close proximity to many good restaurants and shopping venues. Everything was clean and fresh. The kitchen was generously equipped with china and necessary cooking utensils. Both the front and back porches were furnished with comfortable seating which encouraged me to spend many hours reading and relaxing. Hopefully, will return soon. We are so happy to hear how much you enjoyed your vacation with us in Watercolor at this beautiful home! We agree that this home was made to please the guest and the location is perfect to enjoy all that Watercolor has to offer! Thank you for staying with 360 Blue, we hope to see you again soon! My stay was an extremely positive experience. The house was so beautiful and tastefully decorated. The room accommodations were comfortable and spacious. The showers were wonderful! !The wonderful wrap porch overlooked a well maintained green space. The location was in close proximity to many eateries, the beautiful white sand beaches, and shopping venues. I am looking forward to a return in the near future. Great place, location, and value for the money. We are so delighted to hear how much you enjoyed your vacation with us in Watercolor! We completely agree that this home has amazing accommodations and is a great place to sit back and relax! Thank you for staying with 360 Blue, we look forward to seeing you again soon! We are so glad that you all enjoyed your vacation with us in Watercolor! We agree that this home is the perfect option for a fun and relaxing getaway and the location is amazing! Thank you for staying with 360 Blue, we hope to see you again soon! We are back again!! We love this home and all the amenities it has to offer!! So close to everything!! We love the porches and serenity of the green space all around! There’s a bocce ball court in the green space directly across the street which we enjoyed. We love that every bedroom has an ensuite and even a half bath on first floor. The beds all sleep great. The house has been recently painted inside and is getting painted outside as well which gives it a very fresh look! The neighbors are very friendly and helpful as is 360 Blue. We will definitely return as often as possible as this truly is our happy place!! Come check it out!! We are so glad to be able to host you again in Watercolor! We agree that this home is located in the perfect spot to enjoy the community and offers a great place to relax and enjoy the surroundings! We look forward to seeing you all again soon! What an amazing stay. The house was amazing- perfect for our whole family! We loved taking the bikes to the beach, hanging out by the pool, doing some shopping and exploring the restaurants in the area! The beach was more beautiful than we could have imagined! The house was unbelievably beautiful and so cozy! We felt right at home and will absolutely be back! We are so glad that your vacation with us in Watercolor was successful! We agree that this home is perfect for a fun beach getaway and Watercolor is the perfect spot to make some lasting memories! We look forward to seeing you all again very soon! We are so glad that you enjoyed your vacation with us in Watercolor! 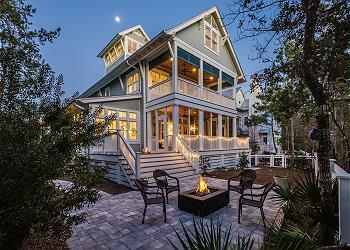 We agree that this home is a wonderful option for a fun-filled beach excursion! 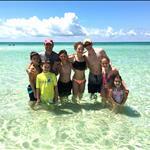 We especially love the family photo you shared with us! We hope to see you again very soon! What a relaxing vacation! This home is beautiful, clean, comfortable, and well-stocked. The stove and equipment available were perfect for our foodie-family! When we weren't hanging on the sleeping porch, we were at the beach or in Seaside, just a very short bike ride (5min) away. We had a few routine maintenance issues (tub drain, smoke alarm battery) that were quickly resolved by 360 blue. Their management team is so nice and very responsive! We can't wait for our next stay! We are beyond thrilled that you had such an amazing stay! This beautiful home is the perfect place for a relaxing getaway. We hope to see you back for another visit soon! Everything was perfect! We had an amazing, comfortable stay in this beautiful home! We spent a lot of time relaxing on the porch, riding bikes to the pool and seaside, and exploring with the kids. Truly the most relaxing vacation we have ever had! We would love to stay again! We are thrilled your stay with us was perfect! Love the picture-this front porch is wonderful for relaxing! And this home is in the ideal location for biking to the pools, and through charming Seaside. It makes us so happy to know you had such a memorable time with the family. Please come back and stay with us again soon! We are so pleased to hear you enjoyed your stay with us! Thank you for choosing 360 Blue for your beach getaway! Be sure to come visit us again soon! We came back to this wonderful house and it was wee worth it!! We loved our stay at 328 Red Cedar Way!! It has every amenity imaginable! We love the porches and being able to walk everywhere is a bonus! The eat in kitchen area is perfect we\'ve found for shrimp nights and family puzzles or games! Just an all around great place to stay! We will definitely stay again as we have found our happy place!! Sounds like everyone had an amazing time! We are so happy that you love this incredible home enough to come back time and again. It truly has everything a family could need. We loved having you with us and hope to see you back soon! This was the second time we reserved this home. In 2017 we will again return for our 3rd year here. The location is amazing and I did read some info on noise. Perhaps, its when we go that we don\'t experience that. The beds indeed sleep well. The porches are amazing and so relaxing. The breakfast area is perfect not only for eating but for games. We had a few hitches w/ the refrigerator and some of the bike chains. The staff was quick to come and check it out and although some of it didn\'t quite get fixed the attempt was there and we will double check the bikes earlier than we did. The kitchen is well stocked with all cooking utensils needed. Washer and dryer worked great. If I would leave any useful comments it would be for the renters to please remember to take care of this home. Others enjoy it and please don\'t run it down. It\'s beautifully decorated and I would hate to see it destroyed by others who forget its not their home. You can reach the grocery store, the pools, the shopping and of course the ocean in less than 2 mins. We rent the golf cart or bike to our location. This home is very special indeed, we are truly enjoying our home away from home in the week of August. We are so thrilled that you love this home as much as we do. It is truly a treasure. Such a perfect place for a beach getaway. We have loved having you as our guest and look forward to seeing you again next year! Wonderful stay at 328 Red Cedar! We loved the location and all the porches. Would recommend this house for two families. Hi McCurry Family: That is a great Family photo!!! Thank you for staying 360 Blue and we hope to see you on your next trip to Watercolor! Great week!! The teenagers all had a blast and the adults did, too!! We'll be back next year!! You really can't beat all that this home has to offer. We are so glad you love it as much as we do. We appreciate you choosing 360 Blue and hope to see you back soon! We just returned from 328 Red Cedar Way. We have 3 children and brought my parents. We also met family friends there. The home was amazing and exceed our expectations. It was spotless, had every amenity we could have asked for and was the best stocked kitchen we have ever had when renting a home all around the world. Quick bike ride to water color beach club, boat house and seaside. We would recommend reserving beach chairs before you go if you want the front row. We cannot wait to come back next year! Thanks for sharing your home. Could the water look any more inviting?! Thank you for staying with 360 Blue! We look forward to your next visit! This house is amazing! Perfect location, close to all pools and Seaside. We visit Watercolor twice a year and this is by far one of our favorite houses! Also, thank you to Al from 360 Blue Properties for going above and beyond customer service and bringing as a crockpot after joking about it in passing! 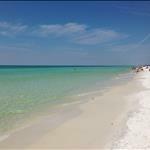 That picture belongs on a 30A postcard! We're beyond thrilled to hear this house was a perfect fit for you and your family. Come visit us again soon, thank you! Wow!! What a gorgeous home!! So convenient to all the amenities!! The home has porches on three sides, great for lounging and one is screened! Two official master suites, one upstairs and one downstairs with beautiful restrooms! Cute kids bunk room! Plus two bedrooms with ensuites. 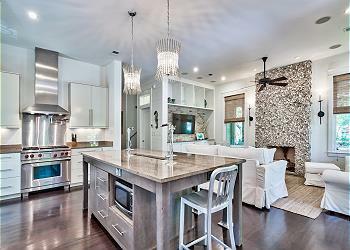 Top notch kitchen and great dining space, makes it fun for game nights too!! Fresh and fabulous, loved our time and can't wait to return!! This picture is absolutely breathtaking! We are so elated that you and your family had such a wonderful vacation at 328 Red Cedar Way! Thank you for staying with 360 Blue and we can't wait to have you back again soon! My family of 6 (2 adults / 4 kids) loved this house which we rented over Easter. The house was well- stocked and very tastefully decorated with lots of character in the finishes. Great proximity to all amenities at both Watercolor and Seaside and my young children thoroughly enjoyed the open green space across from the house and Camp Watercolor down the street. Our only complaint was the weather as we experienced 3 of the rainiest days we've ever experienced anywhere but we're fortunate to get in 4 days of great sunshine. Thanks to 360 Blue for a great house and vacation! Thank you for staying with us over the Easter holiday! We're happy to hear the rain didn't stop you and the kids from having a good time exploring the community. We hope to have you back soon! Great house. Really enjoyed the porches. Only four minutes walk to camp watercolor pool. Only a nine minute walk to downtown seaside. The open natural green space behind the house and across the street made it a lovely setting. Having two bedrooms with bath as well as a powder room on the main floor is a real plus. Loved the house. We're thrilled to hear you enjoyed your stay with us at 328 Red Cedar Way! The location is so perfect for relaxing on the porches and taking in the beautiful surroundings. We'd love to have you back! Thank you for staying with 360 Blue!! We have been vacationing in watercolor for quite some time now & its always fun to pick out our new house , never being disappointed. We have always appreciated the detailed descriptions of what the homes have to offer & base our decisions accordingly - this home is lovely - sadly - the only fireplace is not available to guest - had we known that ? We would have picked another home - we knew there might be SOME road noise ? But hey since we had the fire inside ? No worries - well that didn't work out either - there is alot of noise - on another note ? The beds sleep amazing ! Thank you so much for sharing your feedback! We're so happy you enjoyed the home and amazing beds despite some nearby road noise. This home is certainly a great location to be in! Thank you again and we hope to see you back next year! My family and I had a wonderful time and stay at this gorgeous home and picture perfect community of Watercolor! I highly recommend staying in the community of Watercolor as it is pleasantly located close (within walking distance) to the picturesque town of Seaside, and close to oceanfront as well! We spent Thanksgiving here, and I have to say, it was the most memorable Thanksgiving to date!! We came to Watercolor for our kids' fall break from school. We had a great time and great weather. The house we rented was perfect. It came with bikes for our family and a fantastic porch to relax on after a day at the beach. We will definitely come back. Looks like you all had a great time. This really is a great house and we are so happy that your family had a wonderful fall break with us. We hope to see you again next year!